Magnetic strips are an outdated credit card tech. 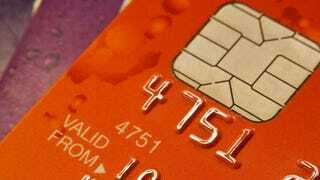 In the future, we'll hopefully all be on chip-based smart credit cards that help prevent fraud. To that end, Square's got plans to push out a new version of its mobile credit card reader that can read the EMV smart cards that will be adopted by banks like Chase and Bank of America. EMV smart cards use "chip and PIN" technology that is much more advanced than the "sign and swipe" cards of the past. According to testimony presented before the Senate last year, the technology not only uses advanced encryption, it also requires that you enter a PIN. After adopting EMV smart card, counterfeiting dropped 78 percent, and fraud fell 50 percent. For their part, Chase and BoA have said they'll go with a "chip and sign" solution which is an improvement if not exactly as secure as it could be.